Fall in love with homestead! You do not have to venture too far to enjoy the pleasures of living in Homestead. In fact, you do not have to venture at all. The community offers peaceful and tranquil streetscapes and will be your own private playground perfect for active families enjoying the community pool, parks and walking paths. Homestead not only offers home buyers many exquisite homes in Eagle, Idaho, but the opportunity for growing families to be close to many wonderful natural amenities, including bike and walking trails in the foothills. Just minutes away you can play and picnic at Eagle Island State Park or the Boise River. In addition, Homestead provides many community amenities, including a swimming pool, neighborhood park and playground. Life at Homestead is the perfect place to call HOME! Future Community Pool, Parks and Tot Lots. Soaring 10' ceilings, 8' doorways and grand foyer welcome you to the Blaser. Looking for a dining area big enough for a 16+' table, buffet and more? 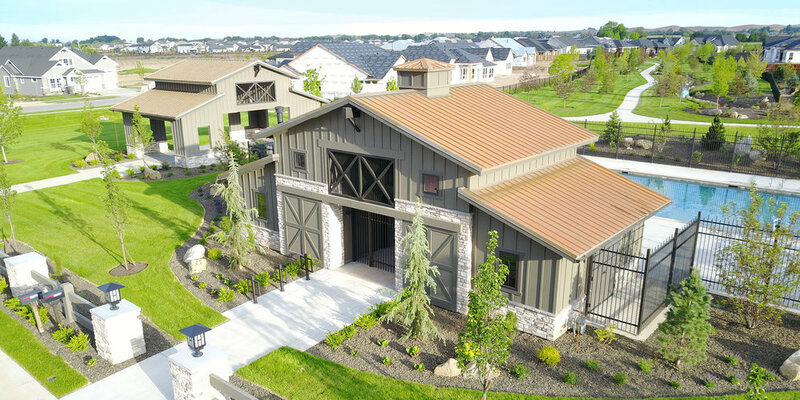 The Ventura w/ Bonus has it all 3 plus den or 4 bedrooms all on ONE level! Bonus room has its own full bathroom and closet making even a second suite. Two living areas PLUS office PLUS 4 garage PLUS main level master suite all means the Sonata with a 10'x11' garage door is awesome! Kitchen has pantry with counter. Servicing Boise, Meridian, Eagle, Star and all of the Treasure Valley Idaho.